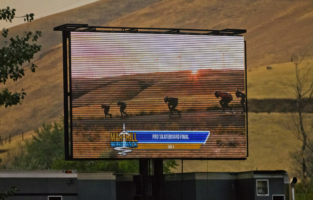 Amidst the wildfires that ravaged the Pacific Northwestern United States last year, Maryhill Windwalk persevered through the adverse conditions. Though the biggest adversary for the STREET LUGE racers was the expected Mikel Echegaray Diez. Former world champion and current all-time and all-class track record holder would push his friend and competitor, Ryan Farmer to the limit. A veteran racer and the first to bring slalom style, ultra agile luge setups to Maryhill Loops Road; or the California Kid?